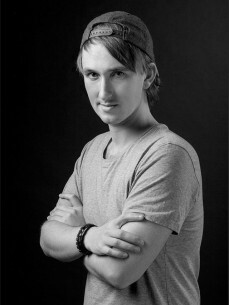 Beatz Freq has started his journey of DJ’ing in 2012. When he listened to mixes and tracks of other DJ’s, he thought: How could they do it? In a while he begin to focus on DJ’ing himself. From then DJ’ing became his main obsession. His passion did bring him into the journey of DJ’ing. After a year of DJ’ing, he decided to give it a try to make music for his own. This was an another journey he started in his musical carreer. After some flops, he made some productions what turned out really great. Big artist like Blasterjaxx and David Guetta gave him their support, what turned out to get his name recognize by big DJ’s like David Guetta, Afrojack and Hardwell. In the past 3 years Beatz Freq turned out with some great musical productions. With a good fanbase what has love for his music, he is getting bigger and bigger.